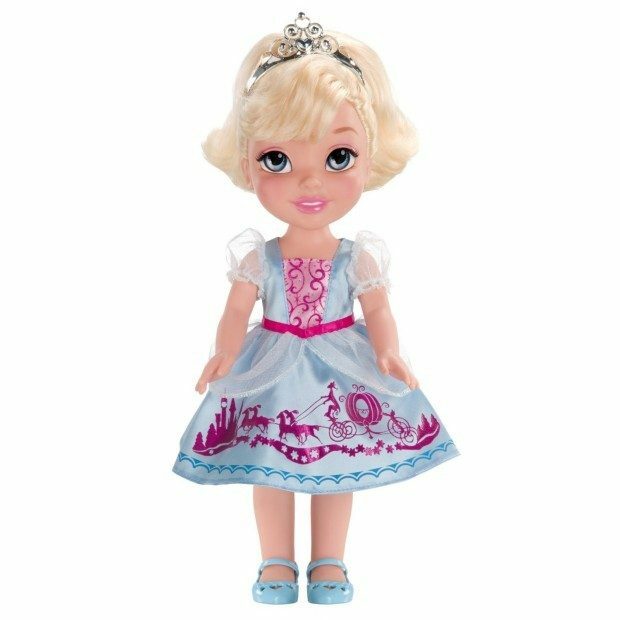 My First Disney Princess Cinderella Toddler Doll Just $15.99! Save $10! You are here: Home / Great Deals / Amazon Deals / My First Disney Princess Cinderella Toddler Doll Just $15.99! Save $10! Head over to Amazon and order the My First Disney Princess Cinderella Toddler Doll Just $15.99! Save $10! Get FREE shipping on orders of $35+ or if you have Prime! Your royal wishes will come true with toddler Princess Cinderella! Her very special dress is decorated with a glittery scene from her fairytale adventures and her matching tiara sparkles with magic jewels! Her Royal Reflection eyes shine and shimmer with dreams of adventure and fun to share!